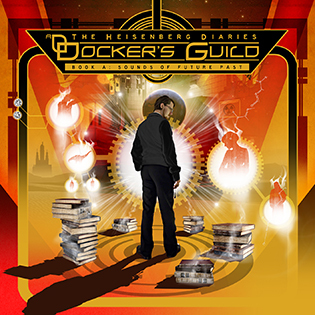 Docker's Guild’s new album is titled “The Heisenberg Diaries – Book A: Sounds of Future Past”. It is part of a series of 4 transitional albums placed between the 5 main “seasons” and which focus on an aspect of the storyline’s main character, Dr. Jack Heisenberg. This particular installment focuses on Jack’s youth and love of science fiction, in fact the album contains exclusively vintage science fiction soundtracks reworked in the typical Docker’s Guild sound. “Book A” will be followed by “The Mystic Technocracy - Season II: The Age of Entropy”, already in development. Another unique feature of “Book A” is its all-female cast, which makes it, as far as we know, the first all-female metal opera ever recorded. 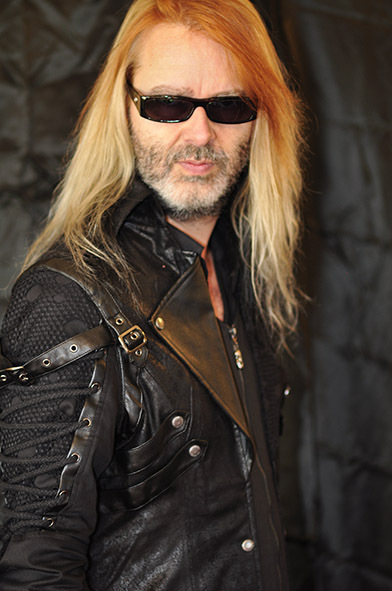 Douglas R. Docker has worked with many acclaimed artists such as Tony Franklin, Gregg Bissonette, Guthrie Govan, John Payne, Göran Edman, Tim Bogert, Tony Mills, Therion, The Vivaldi Metal Project, Frantic Amber, Shining Line and Craig Goldie, besides being the keyboardist for internationally acclaimed melodic rock band Biloxi. 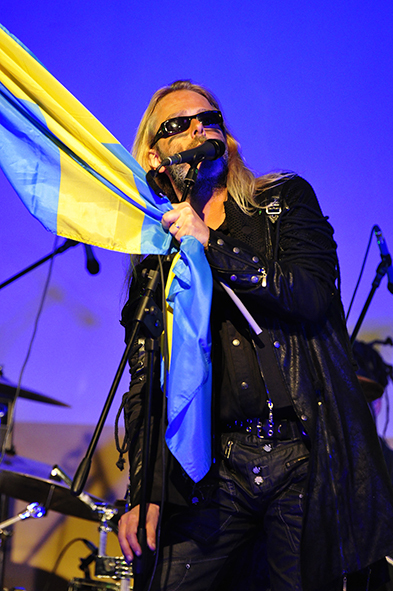 Biloxi's debut "Let the Games Begin" obtained worldwide success, reaching n. 10 in the Japanese charts (Burrn! Magazine) and n. 1 in England as the best import CD of 1993 (Kerrang! Magazine), as well as collecting an impressive amount of rave reviews worldwide. 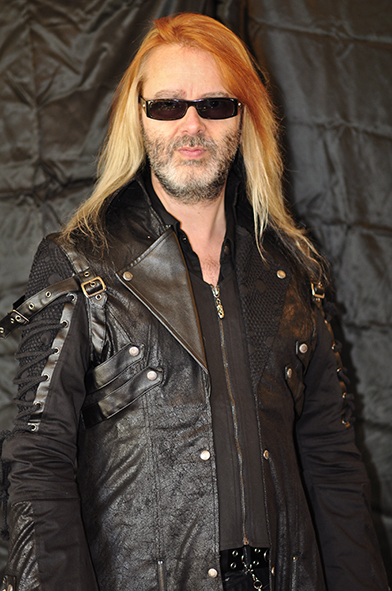 In the last couple years, Docker has become a rather demanded special guest and session player, having been featured on albums from bands and projects such as The Vivaldi Metal Project (where he is also co- developer of the concept and writer of all the lyrics), Tony Mills, Frantic Amber, Shining Line, Rustfield and many more. The overall story arc of Docker’s Guild’s space opera is rather complex and has been worked out in great detailed. Album after album, you will visit the dark world of The Mystic Technocracy, where a silicon-based techno-organic alien race attempts to wipe out all life on Earth through organized religion, while a tormented scientist makes it his mission in life to save humanity. His quest will take him across the universe and on a personal journey from which there is no return. You will meet many characters such as Dr. Jack Heisenberg, Tith, ZZ-999, Cardinal Berengar Yersinia, Lucy Friedmann, Adam V and many more. You will visit the alien worlds of Silix IV and Carbonia in the Andromeda Galaxy, and travel back in time to the age of dinosaurs to witness their extinction. Top-notch progressive metal space opera in the vein of Star One, Ayreon and Avantasia. Yasi Hofer, Valentina Procopio and Elisa Montin. after the release of its 2012 debut album. Its sophomore effort builds on the strengths of the first one and stands out for its orchestral and vocal arrangements, superb keyboards work, stellar vocal performances and the deep and well-structured concept.